Francis is a life-long resident of East Hampton residing in Springs with his wife Barbara to whom he has been married for over 30 years. Barbara is employed in the East Hampton schools. Francis has been an active member of the community serving the East Hampton Fire Department for the past 25 years. 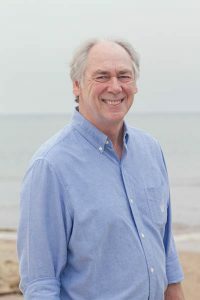 He has previously served two terms as an East Hampton Town Trustee and was East Hampton’s first full time Trustee clerk elected by the Town Trustees. He has served as a scout leader for 11 years and established the first successful Eagle Scout program in East Hampton, producing 5 Eagle Scouts, including Francis’s son Ian. Francis believes that the Town Trustee holdings are precious and extremely sensitive resources. Without them, East Hampton would not be the treasure that has earned the world’s attention. He believes in balancing fair and equal use of these public areas while preserving them for nature’s needs and understands reaching the proper balance is difficult but necessary. Our local economy depends on it. Francis has the experience and the desire to make that balance work. He believes that remembering the past, working in the present and planning for the future are what the Trustees must do to be successful and effective. Having served as Clerk of the Trustees since the Democrats took the majority in 2016, Francis looks forward to continuing the momentum established in restoring the health of our harbors, creeks and ponds. Marine life survival, as well as clean water for our recreational use is essential to our quality of life. Francis believes that growth and development are impinging on access to our public lands and beaches. Facing these issues, as well as the forces of climate change and sea level rise, will require people with progressive minds to manage our ever-changing water bodies and shorelines. Francis believes the Democratic majority is up to the task and is working hard to get re-elected. Francis is endorsed by the Democratic and Working Families Parties.